This coming Thursday, January 9, 2014, Chief Justice Maria Lourdes Sereno announces the half-day work in all courts in Manila. It was because of the Feast of the Black Nazarene. All employees of high court, the Court of Appeals, and trial courts in Manila are ordered to have half-day work, according to GMA News. Chief and spokesman Theodore Te of Supreme Court Public Information Office, said, "This is [not only] in anticipation of heavy traffic due to the Black Nazarene procession but also to balance the needs of litigants and lawyers who may need to file pleadings and meet deadlines." Local government units also declared class suspension on Thursday in all levels in Manila. So expect heavy traffic this coming Thursday, as the yearly procession of Black Nazarene is the highlight of the festivities. For the meantime, please bookmark this page now or visit this site more often for you to be updated. 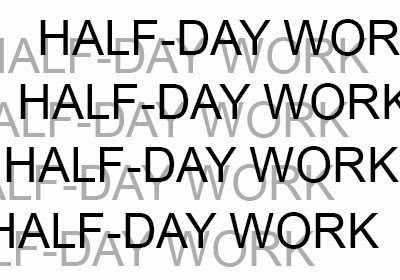 You may also share this post to your friends so they may know about Half-day Work on Thursday. Comments or suggestions about "Half-day Work on Thursday, January 9 - SC" is important to us, you may share it by using the comment box below.